In the coming months, New Zealanders are getting the unusual chance to vote for a new national flag. The design would replace the existing flag, which was adopted in 1902 and features the Union Jack along with 4 stars of the Southern Cross constellation. 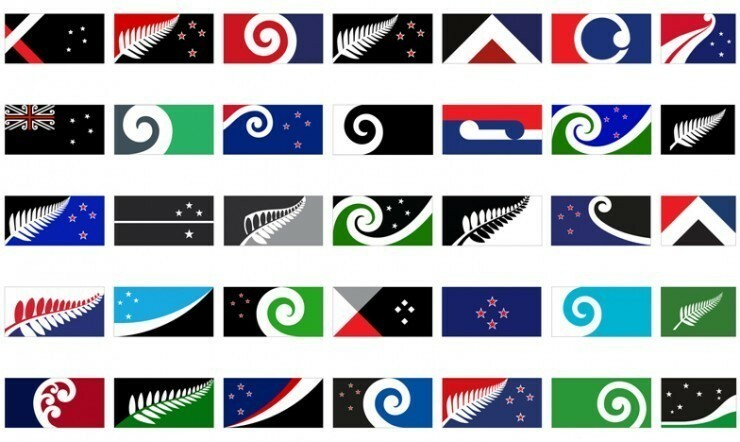 In May this year, a 12-member panel asked New Zealanders to suggest new designs to replace the country’s existing flag. Now that panel has announced an official long list of 40 flag designs, selected after a review of all 10,292 that were submitted. Four of these will be put to a public vote, against the current flag, to determine whether a new flag will be instated.